Routaboard® is what could be considered as evolutionary top of the electronic prototyping boards. Its registered unique design enables creation of high-quality, reliable, and layout-optimised true jumper wire-free boards with flexibility and ease never seen before. All that within minutes and with nothing more than just a small soldering iron! The main advantages of this NEW protyping board are the ways of connections between the "cells". 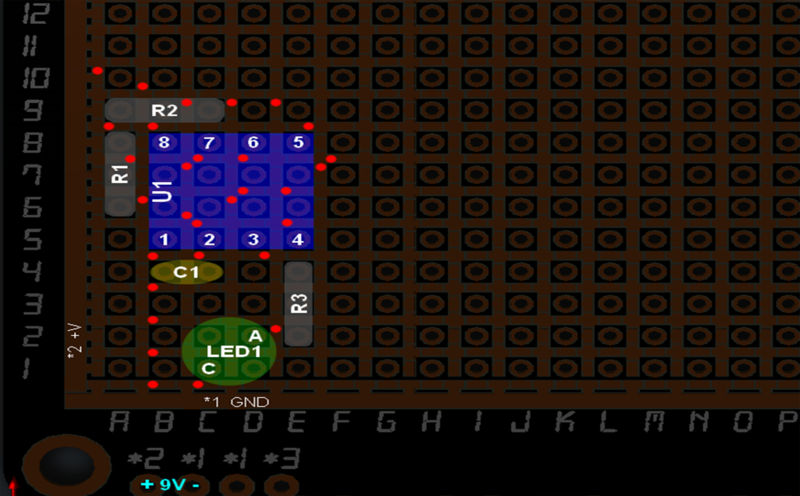 Routaboard is a standard 2.54mm (0.1") pitch sea of holes just like any other prototyping board. The magic comes from its uniquely designed pattern of traces between the holes. Every hole is part of a small cell of traces and pads, called Routacell. A tiny solder droplet can be used to connect any hole in the array to up to 6 of its 8 neighbouring holes. 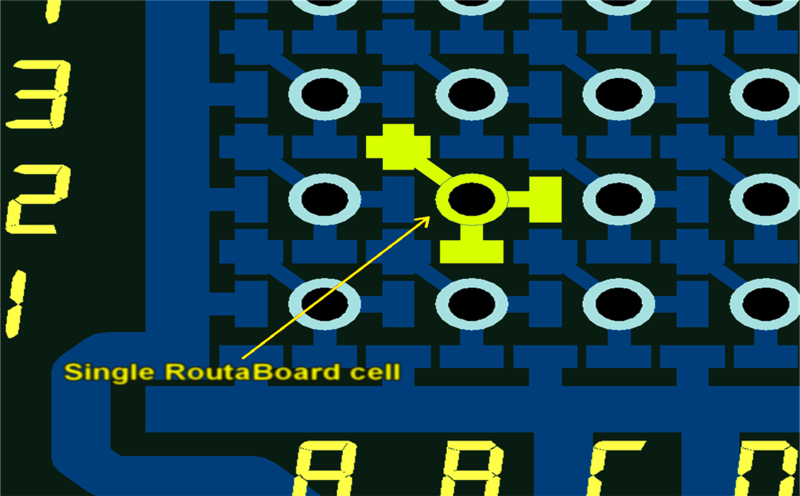 This way makes REAL PCB traces, not orthogonal bus-style connections only. No cutting is required as well, so Routaboards can be reused many times! This example demonstrate the main advantage of RoutaBoard® - creation of tidy and optimised layouts. The entire board consists of a large number of multiplied many times Routacell to cover the surface of the board. Routaboard® comes with programming language! There is more. Routaboard comes with its own "programming" language - RBDL (RoutaBoard Description Language). With RBDL any prototype board can be described unambiguously in a simple text form, so designs can be easily published or distributed. And there is even more! In order to let the user make the most of Routaboard, a simple and convenient PC software called Routaedit was written to help in the creation of layouts as well as import, export, and editing of RBDL files. ...and you will forget about any other way of prototyping! Copyright © 2016 RoutaBoard® is registered trademark. All Rights Reserved.